All this week, Machinima will be airing animated shorts from the DC Universe, each written and directed by Bruce Timm. To those who did not grow up watching cartoons in the 90s, Bruce Timm was responsible for one of, if not the, best depictions of Batman on any screen or page. Batman the Animated Series was prolific in how the modern audience approaches The Dark Knight. Following on the heels of Tim Burton’s Batman ’89, Batman TAS was a serious, brooding, yet emotionally riveting take on the series’ protagonist and his rogues (including what is still my favourite incarnation of the Joker voiced by Mark Hamill). Following his success with Batman, Timm went on to oversee Superman: The Animated Series, Justice League, and Justice League Unlimited, each and every one examples of some of the finest superhero writing to date. So to have Timm come back to the DC Universe to bring us more dark psychotic mayhem is a blessing, hands down. 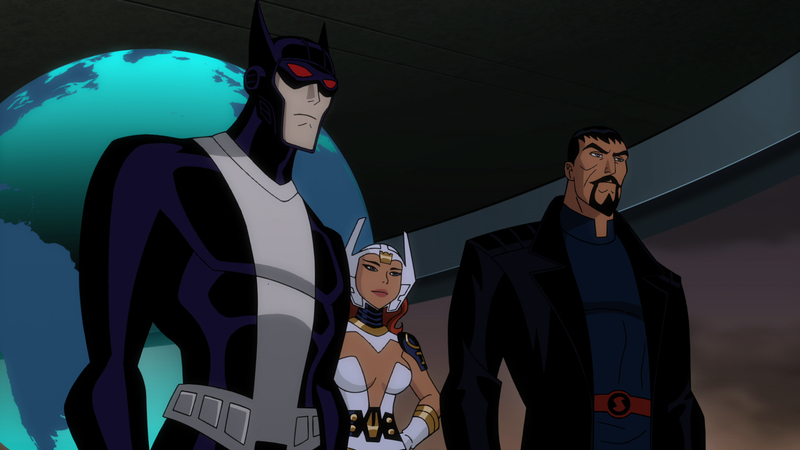 Though it must be noted that with Justice League: Gods and Monsters Chronicles, characters are taking significant departures from your standard DC fare. Batman is not Bruce Wayne but Kirk Langstrom (aka Man-Bat), Superman is not Clark Kent but Zod, and Wonder Woman is not a child of Themyscira, but Bekka from New Genesis, one of two home planets of the New Gods. This is a wholly unique take on the Justice League and will therefore be no doubt controversial to many DC loyalists. These shorts are meant to serve as an introduction to these new characters and universe as they lead toward the release of an animated feature film of the same name. The first was released yesterday, focussing on Batman/Man-Bat/Langstrom as he comes face to face with a psychotic Harley Quinn. Be warned, this is far more violent than your traditional Batman cartoon. It is also fantastic!